Many clients have wondered, or even asked us “What is microblading?” In this article, we will go over what microblading is, how it lasts, the upkeep of it, and what type of person this is best for. 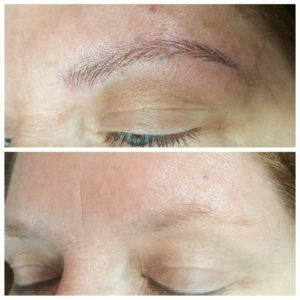 Microblading is a semi-permanent alternative to a permanent tattoo. The results with microblading are very natural giving you hair like strokes that are actually ink. With it being very natural you may still feel the need to make your brows look fuller and pencil them in where a permanent tattoo, you won’t have the need because the brow is colored in completely. The tattoo look is much more of a stark or harsh look for your brows. Microblading can last anywhere from 6months to 2 years depending on the client’s skin type and ink retention. The oiler the skin is, then it’d be closer to lasting 6 months, where if the skin is very dry there’s a good chance that it could last up to 2 years. 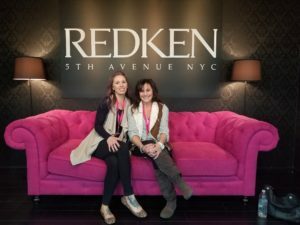 For the average client, you typically won’t need a touch up until about a year. In order to get the best results for your brows you need to make sure that you are diligent with taking care of them. During your consultation our microblading technician, Heather will go over all the do’s and don’ts with your brows and how to properly care for them. You want to make sure that you are avoiding chemical peels, harsh facials, micro-needling, microdermabrasion, tanning beds, the sun, etc. The reason for this is because microblading does not go nearly as deep into the skin as an actual tattoo does. With it being closer to the surface, any type of deep exfoliation can risk your brows disappearing. Microblading is a great option if you have sparse brows, not a prominent arch, or if you were a victim to the 90’s with the pencil thin look. The finished look is flawless looking just like actual hair strokes. The first appointment is a two-step process. Your first appointment you’ll go over the shape you are looking for and you and our technician will find what works best for your face shape. We’ll go over the color that best suits your brows and then the process can start. You may feel that your brows are not filled in as much as you would have liked for that first appointment. This is normal and to be expected. The reason behind this is because everyone’s skin heals differently from this process. As those fresh crisp strokes heal, they will slightly soften. Leaving that extra spacing during that first process allows room for your brows to soften and heal. Four weeks later you will then come in for your touch up appointment that is included in the first initial fee. During your touch-up appointment we can then assess how your brows softened during the healing process and are now able to fill in any sparser areas. Keep in mind this service is to be a natural look and not look harsh as those old permanent eyebrow tattoos did. The most amazing thing about this service, is people won’t realize you have a semi-permanent “tattoo” in your eyebrows. People will just think you have nicely shaped brows!